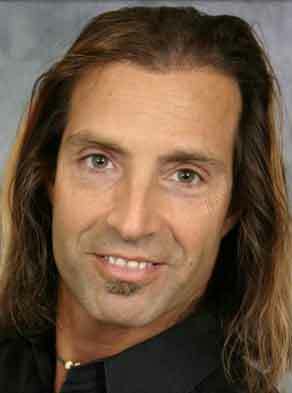 Our goal is to create a natural hairline in one session. 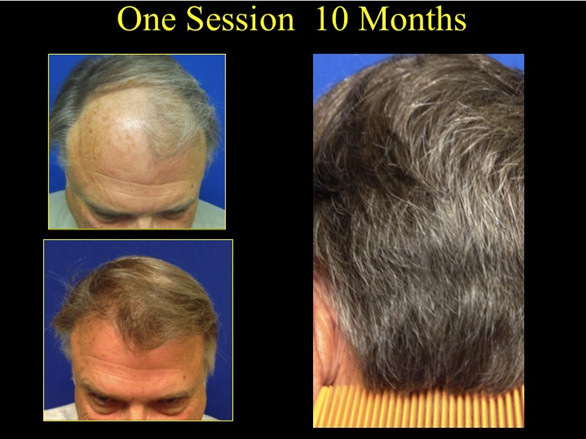 In other words, it should not take another session to create naturalness, but if the patient would like to increase density or cover a larger area of hair loss that is the goal in any additional procedure. The other goal is undetectability in the donor site. 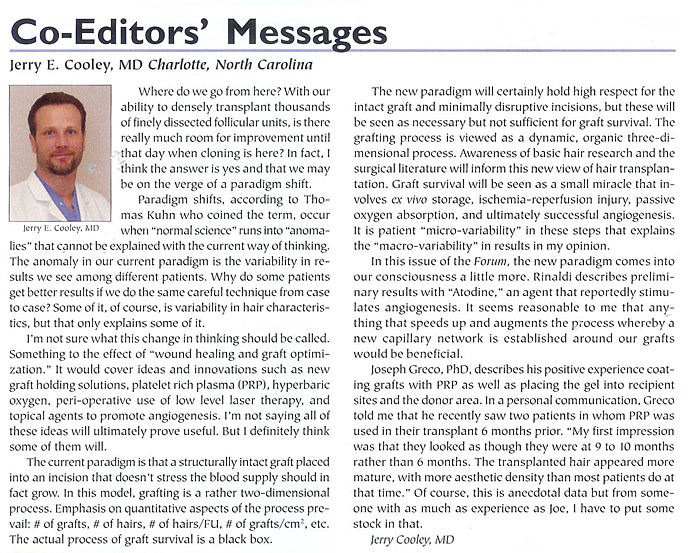 The human body heals with a scar regardless if the donor is taken by FUE or FUT and the faster the healing the less scaring. 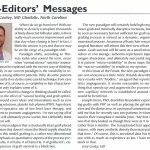 Greco Medical Group has developed a proprietary biologic process utilizing a patient’s own cells to speed up healing, yielding and almost undetectable donor site. 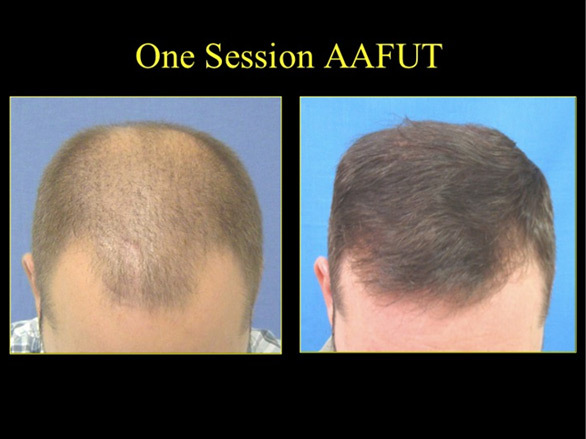 One of the fears patients have regarding hair transplantation is donor site scaring, but bio-enhanced hair transplantation by someone “skilled in the art” provides an undetectable appearing donor site! 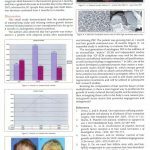 Greco Medical Group has developed a proprietary way to use your Adipose tissue (fat), rich in stem cells, to heal the donor site faster producing an undetectable donor site. This young patient had one session of Adipose Assisted FUT and this is his result at 10 months. Note that he can cut his hair short without a detectable scar. In nature, some hair follicles stand-alone while others are grouped together as neighbors or bundles of two, three and once in a while four hairs. These natural groupings are left intact in order that they may better thrive and look more natural in the recipient area. 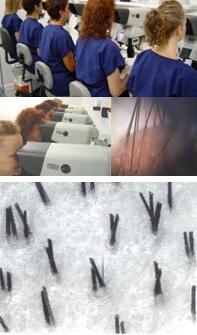 The use of high-powered microscopes allows excess tissue from the FU’s while preserving the vital structures necessary for growth (pilosebacious gland and follicle), so they can be placed into 1/1.5 mm apart; a density and distribution appropriate for a mature individual’s hairline. We use as many 3,000 microscopically dissected follicular units (FU’s). 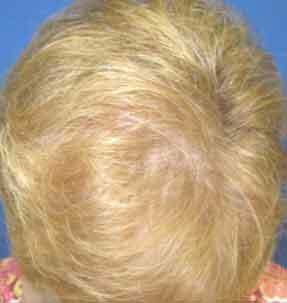 A follicular unit (FU) is defined as a one to four naturally occurring hair follicles, bundled together. 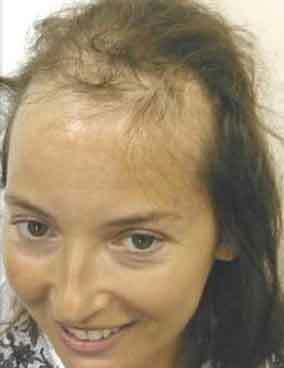 The number of hairs in each follicular unit is determined by the existing growth pattern in the donor sites. Our goal is to move the maximum amount of hairs per session (4,000 to 6,000) and to provide natural results while preserving the integrity on the donor site. 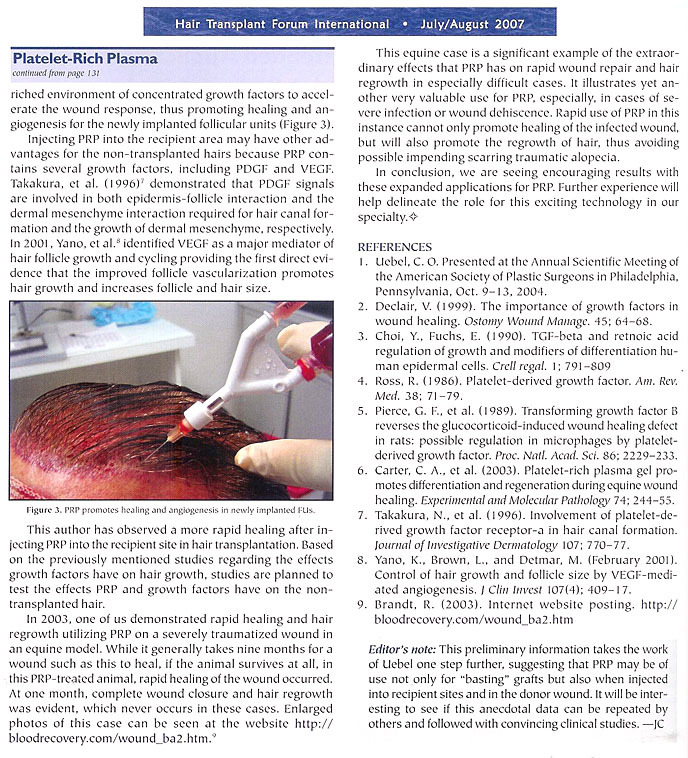 The initial use of platelet rich plasma (PRP) in hair restoration surgery demonstrated an increased yield when utilized as a graft storage medium. 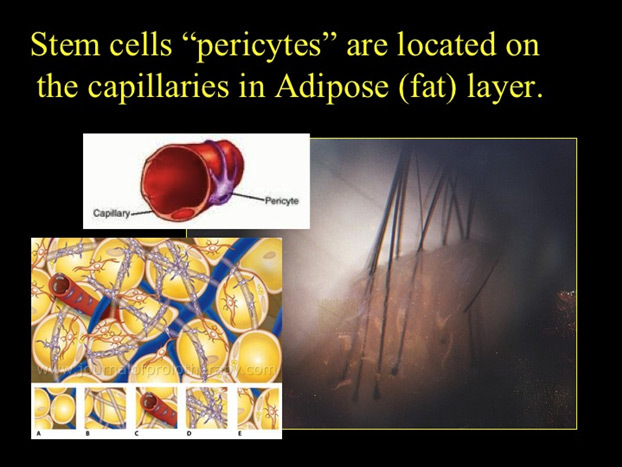 When bathed in activated PRP the growth factors attach to the stem cells in the bulge area of the dissected follicular unit, thus increasing the yield of newly transplanted follicles. 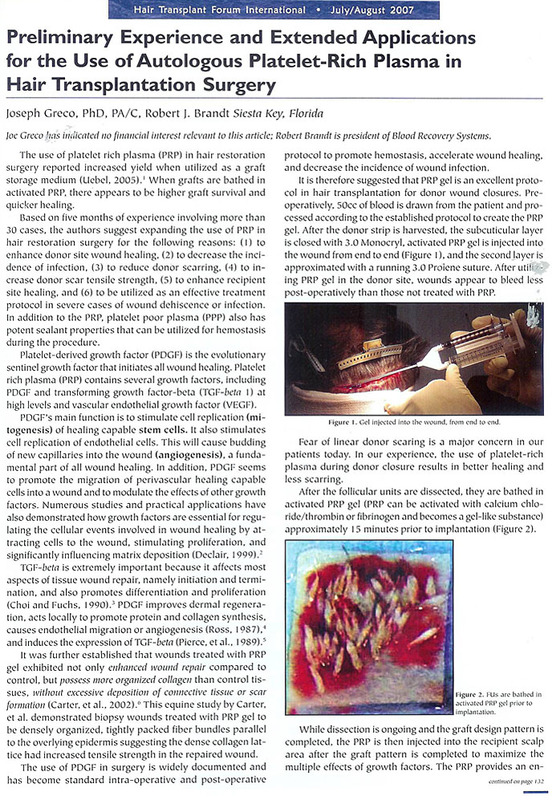 We suggested expanding the use of PRP in hair restoration surgery: (1) to enhance donor site wound healing, (2) to decrease the incidence of infection, (3) to reduce donor scaring, (4) to increase donor scar tensile strength (5) to promote vascularization of transplanted grafts in the recipient site (6) increase the density of non-transplanted follicles. 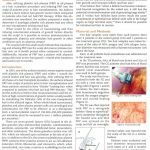 Additionally, PRP may also be used as an effective treatment in cases of wound dehiscence or post surgical infection. The definition of PRP derived from Wikipedia; “not all PRP is the same. The strict definition of PRP is platelet concentration above baseline (published by Marx or 4x baseline). 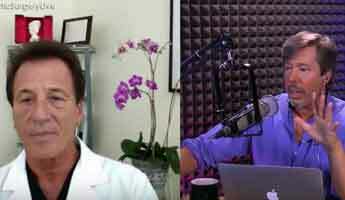 PRP may or may not contain increased concentrations of white blood cells”. Whole blood is drawn and centrifuged to separate the blood components; RBC’s, WBC’s, proteins and platelets. Essentially, the percentage of platelets and RBC’s are reversed so that PRP contains over 90% platelets and about 4% RBC’s when compared to whole blood, hence the name platelet rich plasma. Platelets are really only cell fragments, derived from the megakaryocyte, but when activated, will release cytokines or (growth factors) that regulate the entire wound healing cascade. 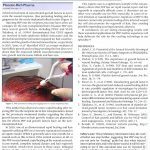 In PRP, there are concentrated platelets with seven fundamental protein growth factors; platelet derived growth factor PDGF (AA, BB), epidermal growth factor (EGF), transforming growth factor (TGF beta 1, beta 2), vascular endothelial growth factor (VEGF), insulin derived growth factor (IGF), fibroblastic growth factor (FGF) and platelet derived angiogenesis factor (PDAF). Additionally, PRP also contains three proteins known to act as cell adhesion molecules; (fibrin, fibronectin and vitronectin). 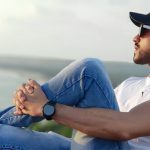 (Note: It is our theory that, since hair is made of protein, concentrating these essential proteins along with the growth factors works synergistically to promote hair growth and hair canal formation). 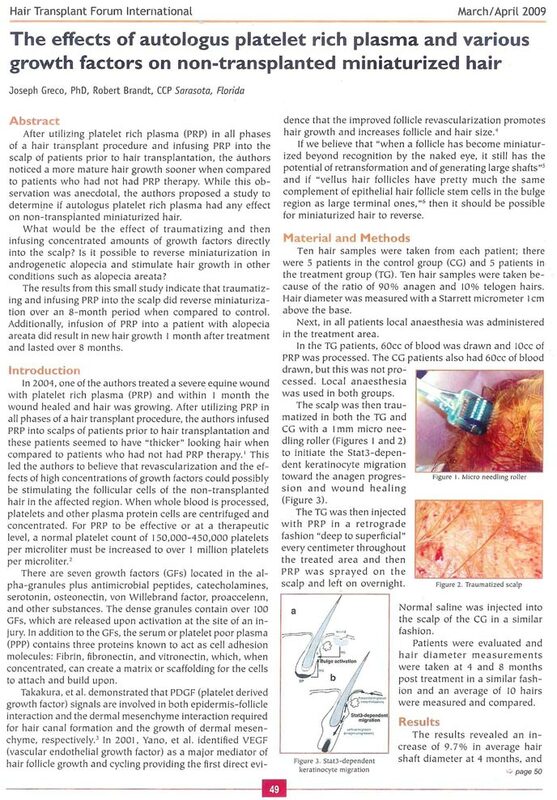 For these reasons we began using platelet rich plasma gel in the donor site of transplanted patients for more rapid healing and less scaring. 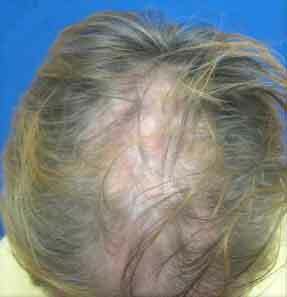 This can be done with strip or FUE to reduce scaring. 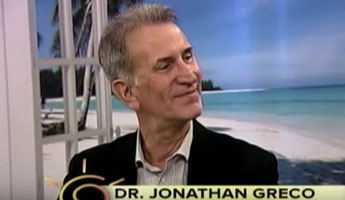 Grafts are bathed in activated PRP because studies indicate that 18 % more follicles will survive when bathed in PRP. 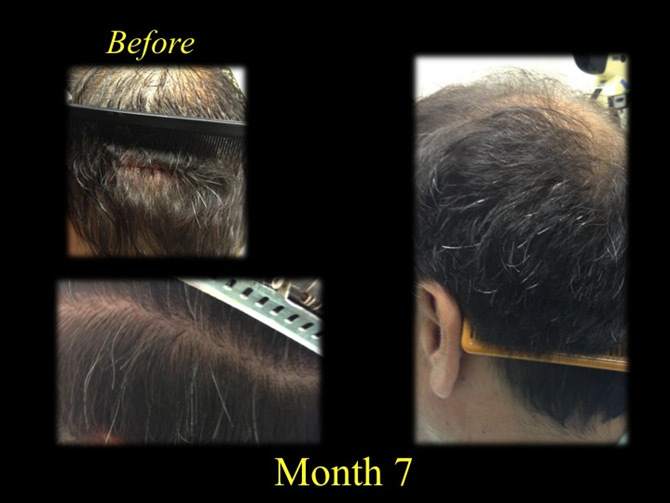 PRP is then infused into the scalp in the treatment area and all hair bearing areas to promote recipient site vascularization. 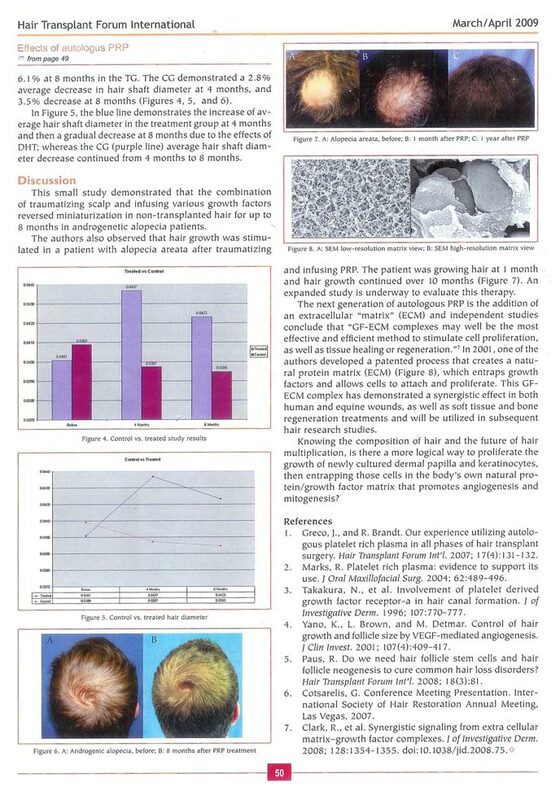 Over the past three years and 300 plus bio-surgical hair transplantation procedures we have witnessed hair growth sooner in grafted hairs, more mature growth sooner and an increased overall aesthetic density when compared to hair transplantation without PRP. 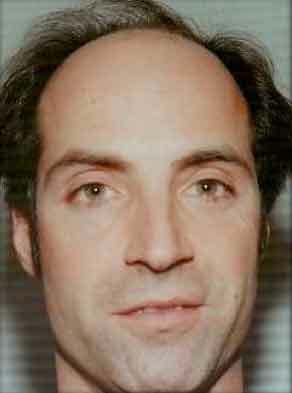 The 42 year old patient below had one Bio-surgical hair transplantation of 1,836 follicular units in the frontal half of his scalp and PRP stimulated and injected in his crown (no transplants). 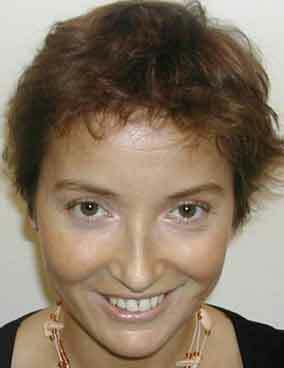 These photos are 10 months post treatment.